The package was designed to cover some of the highlights of Istanbul and fully flexible and customizable like every other tour of Travel Atelier. Overnight at Sirkeci Mansion or similar. Your guide will meet you at your hotel at a convenient time. 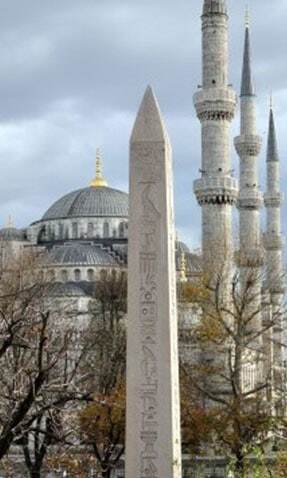 This package includes visits to Hippodrome the former center of sportive and political activities of Constantinople, Blue Mosque for famous for its blue Iznik tiles and unique with its six minarets. Please enjoy St. Sophia Museum; the magnificent Byzantine Church of all times. Experience lunch in one of the special traditional restaurants around the old city discussing the options with your guide and then visit Topkapi Palace the former imperial residence from where the Ottoman Sultans ruled their grand empire for over 400 years. 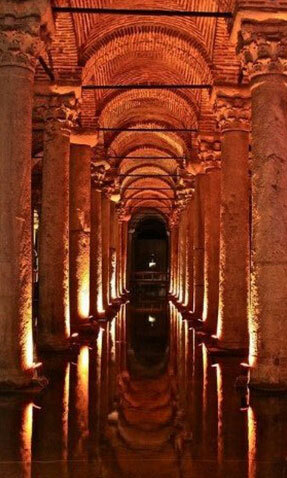 End the day with a visit to the incredible Underground Cistern. 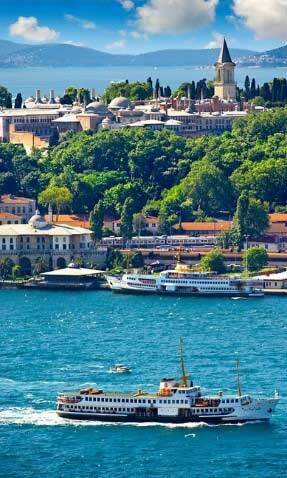 Enjoy a morning Bosphorus cruise with a private motor yacht, passing half a dozen Ottoman imperial palaces, traditional Yalis (waterside villas) and shore villages. Disembark at Sariyer for lunch at a seaside restaurant. Then we drive south and stop to visit the Castle of Rumeli Hisar and then we enjoy a sip of Turkish coffee or tea at the famous Ortakoy area if desired. Then we will enjoy a visit to the sumptuous imperial Dolmabahce Palace. Rest of the day is at leisure. This tour includes a perfect visit to the Galata Tower built by the Genoese in 1348. The Old Pera was given to them by the Byzantine Empire because of their help during the Fourth Crusade. After a short gentle walk, we take the oldest functioning metros in the world. The “Tunnel”, Completed in 1873, it is the shortest metro ever built which connects Karakoy to Beyoglu, followed by a local window-shopping if you would like to experience. 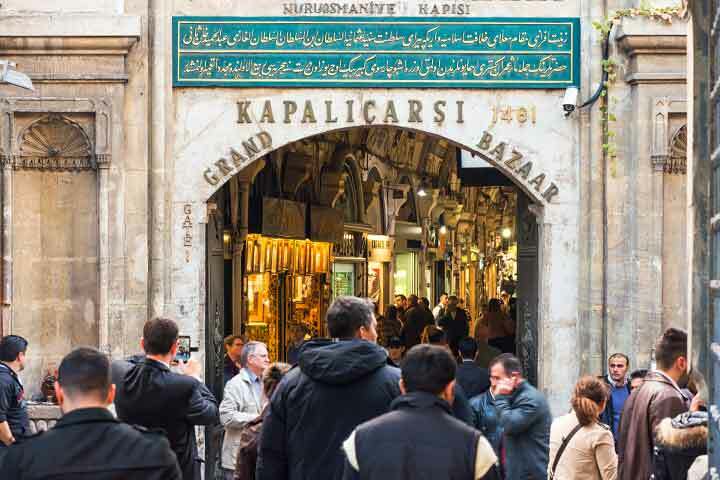 Gentle walk to Taksim Square and accompanied by your escorting guide and minivan explore the Grand Bazaar (Kapali Carsi), the world's oldest "shopping mall", to look for treasures in its 4000 shops, then dive into the colorful sights, vibrant sounds and intriguing scents of the Egyptian Bazaar (Spice Market). 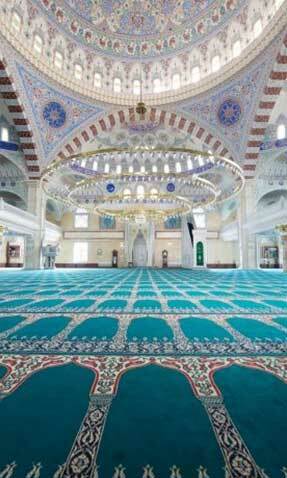 Your Highlight of Istanbul Tour Package will end by the late afternoon to let you have some free time for relaxing. At a convenient time, your driver will pick you up at your hotel and will transfer you to the airport. Above program can be combined with Highlights of Cappadocia by just adding direct domestic flights.